Tag Archive | "bank risk"
Assessing bank risk is a really important part of retirement economics. Everyone faces bank risks. 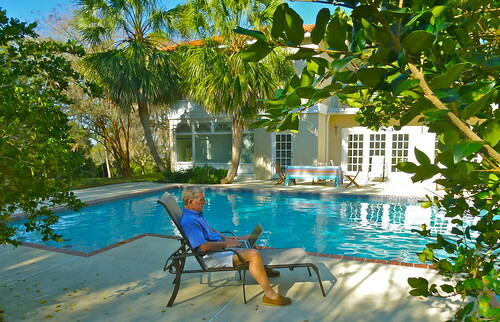 For retirees the lack of time to recover from bank defaults increases the risk. Bank risk is a problem of demographics and bank management and the nature of democracy. 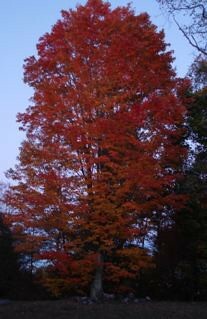 The Capitalistic democratic system has proven to be one that is most in tune with nature. However like all systems it has loopholes and flaws as do all systems. Part of the driving force in such a socio-economic system is that the public’s mindset is linear and is based on the idea that if we work hard and save, life will be better later. We, in the Western world expect life to keep getting better. We are taught to sacrifice the here and now for the future. 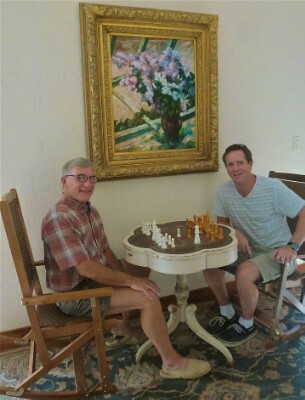 My “Child’s World”, a Gift of 60 years. 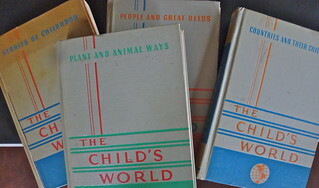 When I was very young, my mom and dad stretched their meager budget to buy me a set of “Child’s World”. This was a great sacrifice and I treasure these tomes. The plan was to pass them on to our children and grandchildren. Rapid advances in technology ended that plan. 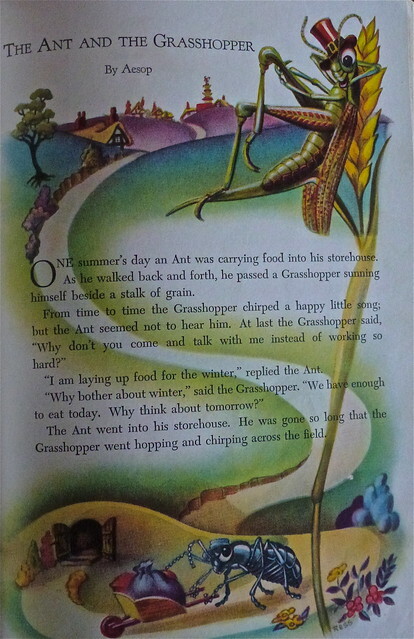 They sit in my library as a fine memory to dwell upon and I especially love Book One, filled with nursery rhymes, stories and fables, including on page 111 Aesop’s story of the “Ant and the Grasshopper”. The Child’s World – Book One- Page 111. This thought process is understandable since most of the world’s industrialization began far up in the northern hemisphere where winters are harsh and cold. However in democracies many of the voters just want to be grasshoppers and enjoy the good times. They enjoy the ups so much that they have nothing but their ability to vote during the downs. Then they feel required to keep those promises and to pay for them they tax the ants… who did work hard and save. This is fine as long as more and more younger ants are born to continue caring for the aging grasshoppers. Then the party gets interrupted by the forces of nature. 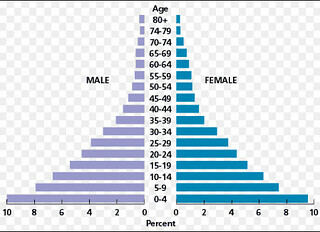 Perfect demographic pyramid in a Western Style Capitalistic Democracy. An apparent rule of nature is an inverse relationship between material wealth and birth rate. The richer a nation is, the fewer children per family are born. 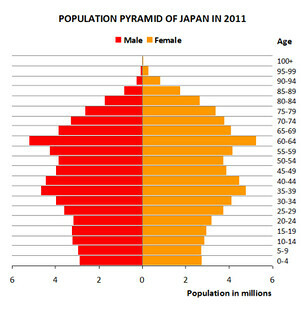 Japan’s pyramid is more typical of a mature industrialized demographic pyramid. You can feel the instability just by looking at the chart. There are too few people aged 20 and 30 and 40 to support those in the retirement range. That’s the good news because the bad news is that these pyramids are growing worse. 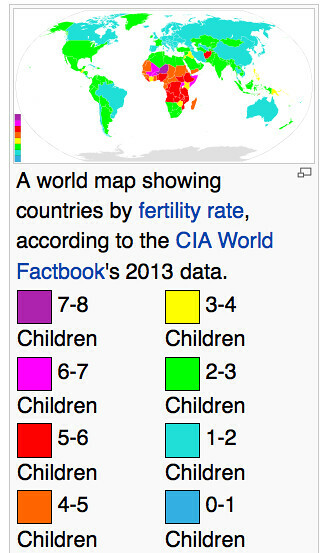 All the mature industrial nations have an insufficient birthrate to support a healthy demographic pyramid. Yet to the polls remain open and the grasshoppers still vote. This forces politicians to think up new ways to take savings from the ants to share with the grasshoppers. Politicians can only raise taxes so much because grasshoppers do not like to pay tax. Plus although there always seems to be fewer ants than grasshoppers, the ants do get to vote as well. Thus the politicians use other ways to fool the grasshoppers into thinking the party is still on. They devalue the purchasing power of the currency. They raid current social savings (like the Social Security Trust). They raid private pensions. Finally when these options are exhausted, they rob the banking system. Here is how this demographic problem is now affecting the safety of banking… everywhere. A US News article struggled to explain the severity of a growing global banking problem in an article entitled “The Cyprus Bailout Does the Unthinkable, Vaporizes Bank Deposits” by Rick Newman. Here is an excerpt: Apparently folks can stop worrying about the financial crisis in Cyprus. But there’s one startling development in the tiny island nation that’s worth paying attention to. Unlike an earlier plan that would have “taxed” bank deposits, no matter how small, the new bailout protects all deposits up to the insured limit of €100,000. But above that limit, depositors with accounts in Cyprus’s two biggest banks—both essentially insolvent—will lose some of their money, which will be used to help pay the bailout costs. Officials in Cyprus have estimated that depositors could lose 30 percent of their money above the insured limit. That article missed the cost by quite a bit. Within a month a BBC News article “Bank of Cyprus big depositors could lose up to 60%” revealed the true loss to depositors. That article said: Bank of Cyprus depositors with more than 100,000 euros (£84,300; $128,200) could lose up to 60% of their savings as part of an EU-IMF bailout restructuring move, officials say. The central bank says 37.5% of holdings over 100,000 euros will become shares. Up to 22.5% will go into a fund attracting no interest and may be subject to further write-offs. The other 40% will attract interest – but this will not be paid unless the bank performs well. The Forbes article “The Cyprus Bank ‘Bail-In’ Is Another Crony Bankster Scam” by Nathan Lewis shared the capitalistic worlds disgust and said: A new strategy has been unveiled around the world, with the first test run in Cyprus. Despite early denials, the “bail-in” strategy for insolvent banks has already become official policy throughout Europe and internationally as well. All other deposits exceeding €100.000 remain in the ‘bad’ Laiki Bank. Did you get that? Financial institutions (e.g. German banks, and central banks including the Bundesbank) get full repayment, along with government entities, while everyone else gets to eat sand. Governments pick up these bad habits quickly. 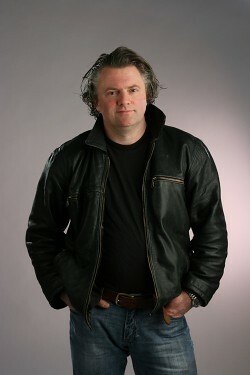 The Canadian Broadcasting Corporation published an article entitled “Ottawa weighing plans for bank failures” by Neil Macdonald. This is a bit frightening that one of the world’s safest countries for banking is considering adding this type of program into its law. The article says: Departing Bank of Canada Governor Mark Carney has been calling for some kind of convertible bank bond to strengthen reserves. Finance Minister Jim Flaherty looks to follow. But who gets the ‘haircut’ in the event of default? Buried deep in last month’s federal budget is an ambiguously worded section that has roiled parts of the financial world but has so far been largely ignored by the mainstream media. It boils down to this: Ottawa is contemplating the possibility of a Canadian bank failure — and the same sort of pitiless prescription that was just imposed in Cyprus. Canadians tend to believe their banks are safer and more backstopped than elsewhere in the world. The federal government enthusiastically promotes the notion, and loves to take credit for it. It may well be true, even if Canada’s six-bank oligopoly isn’t terribly competitive, at least in comparison to the far more diverse American banking universe. But in the ever-more insecure world that has unfolded since the financial meltdown of 2008, it is also increasingly clear that nothing is safe anymore, not even blue-chip bank stocks and bonds or even, in the case of the Cyprus bail-in, private bank accounts. And now, Canada is making a bail-in official government policy, too. “The government proposes to implement a bail-in regime … designed to ensure that, in the unlikely event that a systemically important bank depletes its capital, the bank can be recapitalized and returned to viability,” says Finance Minister Jim Flaherty’s March 21 budget, on page 144. Ottawa’s budget document leaves the definition of “certain liabilities” to the reader’s imagination. New Zealand is apparently kicking the tires of this bandwagon too. A Scoop.co.NZ article entitled: “National planning Cyprus-style solution for New Zealand” says: The National Government are pushing a Cyprus-style solution to bank failure in New Zealand which will see small depositors lose some of their savings to fund big bank bailouts, the Green Party said today. Open Bank Resolution (OBR) is Finance Minister Bill English’s favoured option dealing with a major bank failure. If a bank fails under OBR, all depositors will have their savings reduced overnight to fund the bank’s bail out. This leaves good bank management as a last line of defense. If there are no bank failures, then there won’t be a need for this type of bail-in. Let’s look at three of the largest US banks…. JPMorgan Chase, Bank of America, and Citigroup and see how well they have been managed.. Numerous costly setbacks were directly tied to Pandit. For example the bank bought Pandit’s Old Lane hedge fund for $800 million and shut it down less than a year later, taking a $200 million write-down. Yet during this time Pandit was took home some $260 million in pay — even after collecting a token $1 salary for a couple of years after the financial crisis. In 2011 the FDIC took over coverage of losses on $75 trillion worth of Bank of America derivative bets. The bank was saved once by a $45 billion bailout during the financial crisis, and had $1.04 trillion in deposits as of mid 2011 ranking it second among U.S. firms. Instead of curtailing derivative trading as FDIC suggested, the major banks expanded risky trading. Bank of America, with $75 trillion in gross derivatives had a crisis on its hands. However in 2012 the bank paid its CEO $7.4 million, a little less than the $7.5 million in 2011. Plus he received $520,513 in perks like use of corporate aircraft and secured parking. In 2012 JPMorgan Chase revealed a trading loss of about $6 billion from making risky bets. The bank said it would dock CEO Jamie Dimon’s pay, largely because of the $6 billion loss. They kept that promise and Dimon saw a 19 percent pay cut in 2012 earning only $18.7 million down from his $23 million pay in 2011. However there has been some controversy because his father, Theodore Dimon, 82, earned more than three-times his usual salary from JPMorgan Chase that same year, taking away $1.6 million. His dad joined his son’s firm in 2009 as a broker, earned $1.6 million in 2012, up from $447,000 the year before and only $425,000 in 2010. Let’s suggest that the intentions of management at all the big banks must be suspect. Their hearts seem to be focused on enhancing the girth of their own wallets rather than those of account holders. The system encourages them to take risks. If they win… they get huge bonuses. If they lose, they get golden handshakes. This is not a new trend… just one that is more exposed as excesses in the entire system are stretched by the nature of democracy and aging demographics. Few rational people will trust big bank management anywhere. I do not know if there is any solution to this natural drift of the modern global social-economy. The demographics are hardly likely to change. History suggests there will always be plenty of grasshoppers which leaves democratic systems vulnerable to politicians who will promise anything to attain office. I doubt that we can depend on guys in white to arrive and save the banks. This leaves many of us in a new environment… not seen since the 1920s . Banks cannot be trusted. We each have to look after our savings and protect our purchasing power. There are five steps that create the ultimate protection against bank risk. Step #1: Bank in more than one country. If accounts are frozen or taxed in one country… your second or third accounts may be safe. Just be sure to correctly report these accounts. Step #2: Hold some gold as insurance. Hope you do not have to use it. Having tracked gold for over 40 years I have seen and heard it all. My conclusion is that gold should be held as insurance and as a store of long term purchasing power protection. If you want to hold gold outside the country where you live or in a safe place check with ASI Precious Metal Direct. Or call 877-339-8472. Step #1: Keep all deposits below government guaranteed levels. In the case of Cyprus, if a depositor had one account for $290,000, he would now have $176,000 ($100,000 plus 40% of $190,000). If he had three accounts (one in his name, one in a company and one in wife’s name for example) he would still now have $300,000. Step #2: Bank in more than one country. If accounts are frozen or taxed in one country… your second or third accounts may be safe. Just be sure to correctly report these accounts. Step #3: Hold some gold as insurance. Hope that you do not have to use it. Having tracked gold for over 40 years I have seen and heard it all. My conclusion is that gold should be held as insurance and as a store of long term purchasing power protection. Step #4: Invest in collectibles. One way to invest in collectibles is through Stanley Gibbons. This 150+ year old firm expanded into Asia in 2011 and the USA in 2012. We are living in a world where you could genuinely lose almost everything you have worked for; many people have. Diversifying into rare stamps, rare coins and other prestige collectibles could help you anchor part of your portfolio through the storms in other markets. The world is uncertain; rare stamps have proved themselves not to be. So, if you’re looking for potentially the best place to put your money over the next 5-10 years, the stability offered by a historical, alternative asset like rare stamps could be your answer. As you can see, increases in the GB 30 stamps have been consistent and, in some cases, dramatic. Just as a snapshot of the strength of the market, in the recent crash of 2008, when the value of traditional asset classes plummeted, the GB30 Rarities Index increased. Located in the heart of London at 399 Strand, Stanley Gibbons has been the home of rare stamp collecting since 1856. Stanley Gibbons is a globally recognised name and a brand synonymous with quality and expertise. We were awarded the Royal Warrant by King George V in 1914 –an honour that we still hold proudly today and we maintain by trading with the Royal household. What that means for you is that you can rely on over 150 years’ experience and skill in appraising, buying, describing and selling stamps; in today’s uncertain times, trust and security may not be flashy, but they are fundamentally important to preserve your wealth. When it comes to investing, it is vital to go with a name you can trust. Look at the examples below; our experts know the difference between an investment grade stamp and ‘just another stamp’ or a worthless forgery. One of these stamps is worth £240.The other is one of Britain’s most expensive stamps worth £375,000. 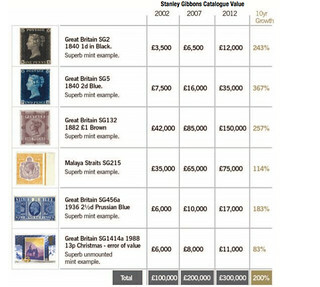 Look at how their prices (taken from Stanley Gibbons published catalogues) have risen in the last 10 years. 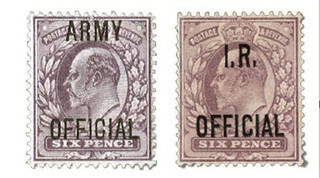 Here is a selection of the type of rare stamps that Stanley Gibbons offers for investment purposes. Look at how the prices (taken from Stanley Gibbons published catalogues) have risen in the last 10 years. No previous stamp knowledge is required, and your only decision is when to sell and whether to re-invest your investment returns with us. For more on Stanley gibbons investments call 877-340-2247 or click here for Stanley Gibbons information. 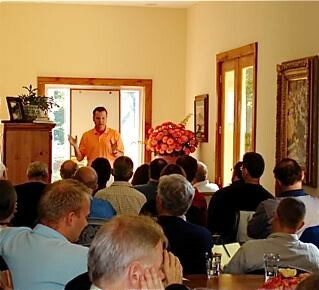 Step #5: Have a micro business that provides a valuable service to a community of like minded souls. As long as you have the ability to serve, you have the ability to earn. This is why pinnacle careers that fulfill our destiny and take more responsibility for our individual social, spiritual and financial needs grow in value for us all. Bank risks have expanded and the Cyprus Bail – In adds a higher level of concern. We can no longer trust our governments or our bankers totally so consider the five steps above so your economics remain more secure. Whatever type of micro business you create, you’ll be able to use writing to sell.